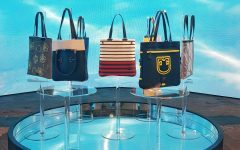 So, the bags that caught my eye are not from another new discovery of a brand, but from one of my usual suspects of a designer label, Prada. 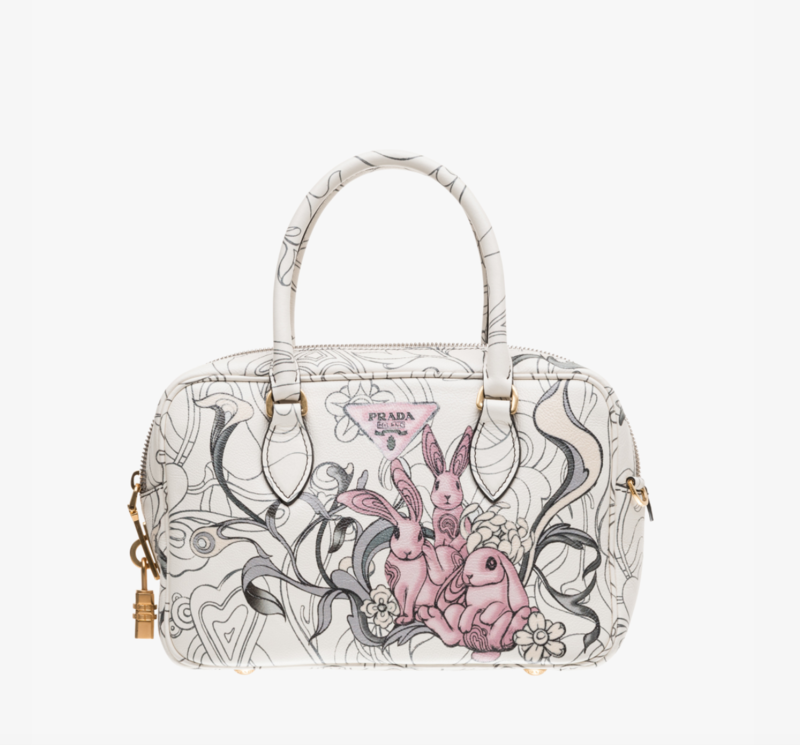 Truth it be told, the bag style is really nothing new– in fact, this is one of the staple styles of Prada. And honestly, this style while classic, is rather plain. Known more as an East- West bag because of its rectangular shape, the bag comes with one zipper (though 2 would’ve been more ideal, allowing the zippers to meet in the middle of the bag), and a detachable semi- thick shoulder strap (bravo, Prada for making the strap thicker than usual). It’s honestly really the print that caught my eye. I love the Bunnies– first of all, I was born in the year of the Rabbit so this print really called out to me (more than the fairy print did). And two, bunnies are just really cute! 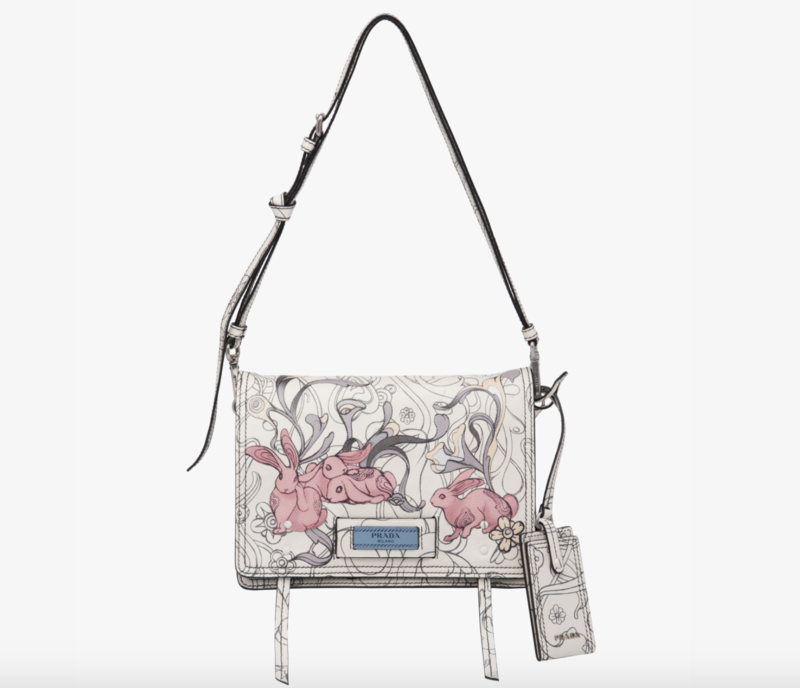 There are 3 styles of the bag, the first two are made in the classic shape (above) and comes in 2 sizes, while the 3rd style is this cross-body flap bag which takes on a different “logo”– that of the label found in most Prada apparel, rather than the signature triangle with which we’ve all come to associate the brand. I had a chance to test out both bags and I must say I remain divided. On one hand, I loved this cross- body flap bag because it’s shape and make are really perfect for travel. Light and with a width like that of an accordion which makes room for all your portable necessities, the bag is really very au courant in terms of style. But what this bag doesn’t have is the added versatility of carry. It can only be carried either on the shoulder or cross- body. 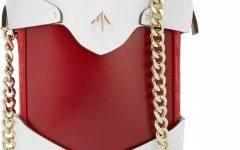 There are no proper short handles to allow the bag to be carried on the hands or on the crook of the arm. 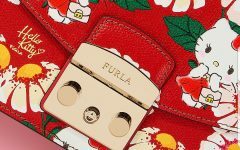 Bag Review: Hello Kitty Calling at Furla!